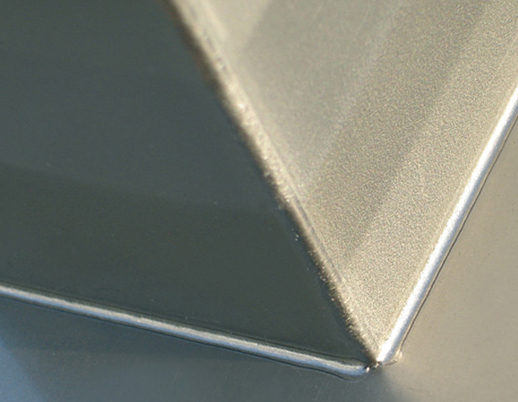 In order to cut costs and decrease the complexity of forming dies, manufacturers increasingly chose to shift certain tasks to later production steps. In this way, the risk of mechanical deformation of components in the course of the forming process can be minimized, and a high degree of precision of the components is ensured. 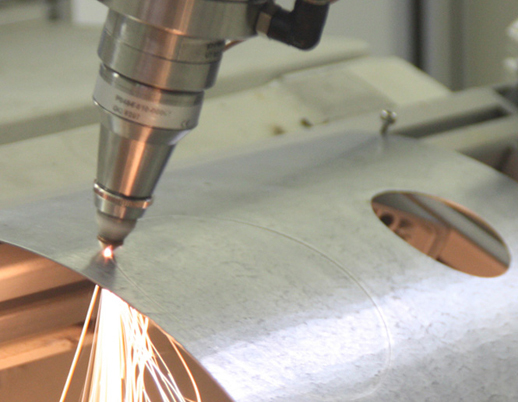 The laser cutting system JENOPTIK-VOTAN® BIM (Beam In Motion) constitutes an innovative combination of a stationary laser and a robot-based motion sequence. Due to its compact design and extremely flexible handling, it is referred to as a plug-and-play system. With the novel system concept, the core of which being a laser robot with fully integrated beam control, laser powers of up to 5 kW can be realized for the first time without impairing the advantages provided by a robot system - high mobility and accessibility, very high system accuracy and dynamics. 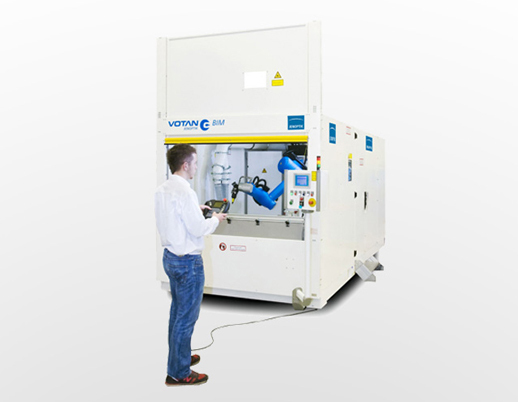 This laser system is used for a variety of demanding tasks in the field of laser cutting of metal components. Trimming of 3D-molded metallic sections such as cross members, exhaust system components etc.